A large hypoechoic mass occupying the head of pancreas corresponding with non-homogenous mass in the same location. The pancreatic duct is dilated. The patency of the biliary stent is questionable due to absent pneumobilia, dilated bile duct and slighly dilated intrahepatic ducts. 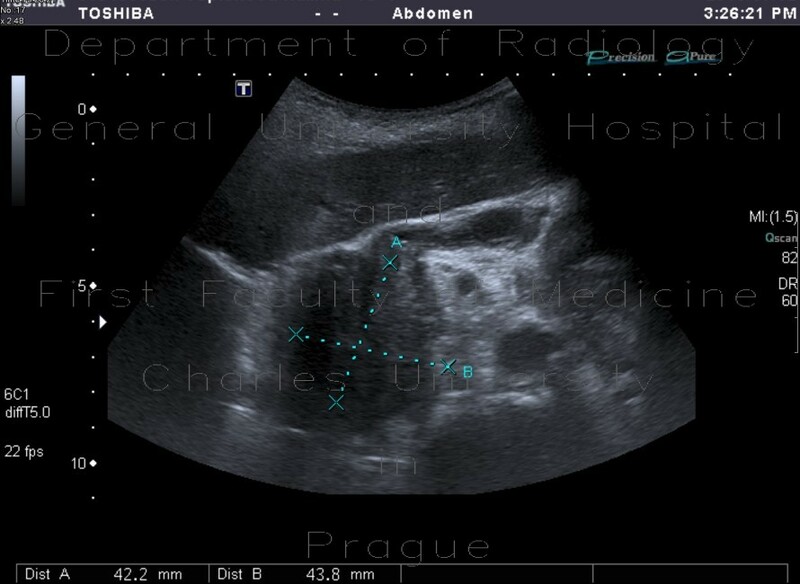 The gall bladder is dilated and filled with stones.